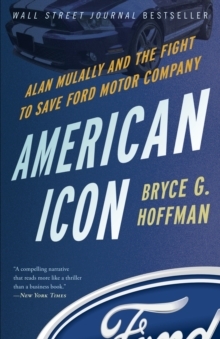 THE GAME-CHANGING APPROACH TO STRATEGY AND PLANNING THAT WILL KEEP YOUR BUSINESS AHEAD OF THE COMPETITION'American Icon was one of the most significant business books ever written and Red Teaming is further proof that Bryce Hoffman is one of the great business writers and thinkers of our time. This is a book that every business and team needs to read NOW! - Jon Gordon, bestselling author of The Energy Bus and You Win in the Locker Room First 'Another home run for Bryce Hoffman. Red teaming methods can correct overconfidence and impulsive decision making - just what we need today' - Gary Klein, Ph.D., Senior Scientist, MacroCognition LLC, and author of Sources of Power 'Red Teaming provides the specific tools and a reliable process to continuously improve your management system and business plan to adapt and thrive in our rapidly changing world' - Alan Mulally, Retired President and CEO of The Ford Motor Company and Boeing Commercial Airplanes Developed by the military and intelligence agencies, red teaming is a revolutionary way to stress-test strategies, flush out unseen threats and missed opportunities and execute more successfully in an increasingly uncertain world. Red teaming can help any company plan better, anticipate emerging threats and avoid potentially disastrous mistakes - from mistimed product launches to ill-conceived acquisitions. 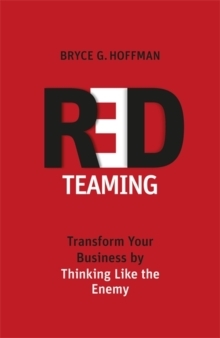 Drawing on the latest research in cognitive psychology, red teaming is specifically designed to overcome the mental blind spots and biases companies and individuals fall victim to when making big decisions or trying to solve complex problems. Red teaming makes critical and contrarian thinking part of the planning process, forcing companies to take a hard look their assumptions, examine the ways in which plans could fail, and carefully consider alternative explanations and perspectives. It enables organizations to make smarter choices and turn disruptive events into opportunities. Many of these same approaches have been organically incorporated into the decision-making processes of today's most sucecssful companies, from Amazon and Google to Ford and Toyota. As the first civilian to graduate from the US Army's elite red team leaders course, Bryce Hoffman is uniquely placed to reveal a clear set of tools and techniques that will enable every company, department, team and organization to adopt this game-changing method into their business too. By embracing red teaming, managers, leaders and aspiring leaders in companies of every size and in every industry will be able to plan better, compete more effectively, innovate more proactively, and make their businesses one of the disruptors in the marketplace, rather than one of the disrupted.